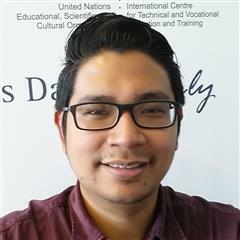 Aldrich joined UNESCO-UNEVOC in August 2012 as IT Programme Assistant and Multimedia Developer. He is responsible for web and multimedia development, network administration, user support and in assisting and implementing ICT in TVET programmes. Prior to joining UNESCO-UNEVOC, Aldrich gained years of experience in IT while working for an intergovernmental regional organization in Asia for skills development and capacity building in TVET.